tokyojoe1 wrote: I believe all of this crisis actor stuff is done internally in the military/IC. This is just too delicate to trust contractors with. Who knows what a young person might do or say after they see themselves on TV. I like Painterman's theory that all of these interviews are done before the event. And now that we are suspecting that "crisis actor" was planted in the media/conspiracy community, I'm suspicious of ALL websites promoting it, no matter how legit they look. When you say that "all of the crisis actor stuff is done internally in the military/IC", do you mean that all special effects experts and actors are trained directly inside the military? I think that can hardly be the case. The military must have control over the psy-ops, of course, but they need external expertise - like the aforementioned actors and special effects experts - to carry them out. That's why they might need companies like IIF Data, Strategic Operations and Calytrix, or the real ones behind them. Of course, they don't hire them right away for psy-ops that are presented as real events by the media, but for "real simulations" and military drills. Then if these companies, or elements inside them, are considered trustworthy enough, they might secretly participate to the psyops, naturally under military control. I think this is the main function of these companies' websites: to attract both smaller clients - like local police forces or private military contractors who want to train their members, for example - and the kind of personnel needed both for the drills and maybe eventually for the psyops, i.e. actors, directors, and various kinds of technical personnel. I cannot know for sure, of course, but I really can't believe that all these companies are set up on the web only as bait for the conspiracy buffs or to misdirects serious researchers like us. Maybe that could be one of the functions of a too obvious site like CrisisCast, but not of all of them, and especially not of those that use specific technical lingo for insiders, like "Role Player Support", instead of more popular terms like "Crisis actor". I followed up on Painterman's link and I grabbed one Jennifer McCray-Rincon from the blurb. From what I can gather she is purported to run VisionBox a "Crisis Actors" group. Dig Max Headroom in the corner and Stephen Hawking doing the voice over! To be honest, the very idea that the perps WANT us to investigate this, tells me it's a red herring. At this point I don't care if IIF or Calytrix is for real, I refuse to do what the IC/perps/TPTB want me to do, and that is to waste my time investigating these probably phony companies. And for that alone I'm going to ignore them. Edit: I think complete virtual reality simulation is the future for perps, not crisis actors. They're going to slowly weed those out, that's why they want everybody focusing on them. There are still some glitches (the Obama press conference), but they're going to perfect it eventually. The best comparison is that they're all switching to MP3s, and they want us to investigate the CDs or cassettes. tokyojoe1 wrote: To be honest, the very idea that the perps WANT us to investigate this, tells me it's a red herring. I agree with you when you say that "complete reality simulation is the future for perps, not crisis actors". But we can see that the latter are still predominatly used nowadays. I agree with tokyojoe1 - this is another rabbit hole they are leading us to. In this day and age do we really believe that they would recruit from websites for this stuff? Looking for John and Jane Doe to fill roles in FF's. I think Hollywood is compromised enough and have a big enough pool of actors to draw from for these jobs, not to mention the military. Also, it is an assumption that they mainly use actors. We have no idea how far advanced they are in technology and for how long they have been testing it on us via TV and movies. I don't think your comparison is an accurate one either, jumpy. There are thousands of different angles to investigate, so dropping one angle (that one believes is a rabbit hole) just allows for focus on something else that may pan out. Tokyojoe did quite a bit of digging already to come to this conclusion. Essentially then, we're supposed to believe in this absurd situation: that the existence of the crisis actor meme affirms the reality of the events. jumpy64 wrote: I agree with you when you say that "complete reality simulation is the future for perps, not crisis actors". But we can see that the latter are still predominatly used nowadays. This push to stop us talking about crisis actors has the look of an astroturf campaign run by the same clowns who attacked this forum with a Flat Earth psyop. Did anyone suppose that psyop was a one-time thing, and when the attack was repulsed the perps would simply give up and go away? Example 1 : Cluesforum has been exposing NASA fakery. As a countermeasure, cause Cluesforum to both change the subject and discredit itself. This is done by inducing Cluesforum to "take the red pill" and revise its position to include the absurd "everything is fake" claim that everything NASA says is false, which naturally includes the spherical shape of the Earth. In this example, what the psyoperators need to silence and/or discredit is the "Apollo, and more space hoaxes" subforum. Example 2 : Cluesforum has been exposing mass-casualty terror fakery. As a countermeasure, cause Cluesforum to both change the subject and discredit itself. This is done by inducing Cluesforum to "take the red pill" and revise its position to include the absurd "everything is fake" claim that everyone depicted in this type of media fakery is a CGI sim. In this example, the topic that the psyoperators need to silence and/or discredit is the use of crisis actors in terror fakery, because a widespread understanding of this practice would severely limit the availability of such actors to unwittingly participate in these hoaxes. Crisis actors allowed to knowingly participate in terror hoaxes are necessarily rare. Both of the foregoing examples had earlier prototypes tested on this forum as probing actions, to see what Cluesforum would accept. An earlier version of the second example was the "Dallas Goldbug" foolery. Though it's early to tell yet, if They're All CGI is indeed the follow-on campaign against Cluesforum, we can expect the same tedious methods of infiltration, mimicry, brand infringement, fallacious rhetoric, and outright lies we're already familiar with from Flat Earth. I'll assume your post is directed somewhat at me, Painterman, as you noted that you disagreed with my statement to Jumpy that I didn't think his comparison was accurate, and I am a new member. To clarify (for myself only) I never said no actors were used, I just don't think they would recruit that openly on a website or Craigslist for them. I thought that this board allowed for people to disagree without being called a shill, astroturfer, infiltrator, etc. Nobody is preventing anybody from investigating any angle, I was simply supporting another member after he did some research. What push? Everyone is free to research whatever they want, I just don't want to waste anymore of my time on this out of principle. There are a few posters on this board that I'm extremely suspicious of that seem to want me to continue to research this. Their objective seems to be "distract for as long as possible". I've been taking notes on the disinformation tactics they were trained on and I may write a post on it in the future. There are major things going on in this world right now and crisis actors are pretty low on the totem pole. I suspect Martin Shkreli, who is all over the American news, is probably a sim, and it's tied together with some sort of Big Pharma psy-op. We have the San Bernardino hoax, amongst probably several others things perps don't want us to focus on. I feel like there is an overwhelming amount of things still left to uncover and expose, and there are so few active posters on this board, yet thousands of military/IC/god knows what with infinite resources working on these psy-ops. And that's not to mention I'm not sure how many of these posters I talk to everyday are shills. I really don't know how many REAL posters there are here, including in this thread, regardless of whether they agree with me or not. So, at least for me, to waste time on something my intuition is screaming out against is insanity. IMO this board is one of a handful on the entire internet (and I'm assuming others even exist) that is close to the truth and with the minimal amount of real posters we have here it makes A LOT of sense to me that there is an organized effort to distract us with red herrings. So research whatever you want, I'm going to focus on other things. At the time I posted that statement, I had not read any posts by your username, so my statement was not directed at you. My statement was not directed at anyone in particular. What I attempted there was a description of the psyop template being employed against Cluesforum, which is a more useful (and on-topic) undertaking than directing statements at whoever. However, speaking hypothetically, if I did suspect you of being a shill, astroturfer, etc. - which so far I do not - it would be on account of your reply which misconstrued the meaning of my statement. I say this, by way of illustration, because prompt reinterpretation of adverse content is a standard propaganda trick and part of another, well known, psyop template of which two examples follow. Recall that, remarkably soon after the cartoon planes hit the towers on 9/11, the media and the government already "knew" who done it. Why didn't they wait a couple of weeks, to make it seem a plausible investigation took place? They had to risk looking contrived with such a quick announcement of the culprits on 9/11 because of impression management. The name and image of the supposed evil-doer had to quickly be tied to the trauma of the evil-doing seen on TV, in order to create a strong emotional association in the public mind, an association that preempts critical thought. Next consider an astroturf internet pundit with a history of pushing the Flat Earth psyop - but recently he's been catching heat for doing so, and he senses his motives are under suspicion. Then someone on a site he monitors / mimics / infiltrates exclaims, "There be parallels between the Flat Earth psyop and what's beginning to look like a CGI-Only psyop!" The astroturf pundit, recognizing an opportunity to manage folks' impressions, then quickly says or does something to signal rejection of the CGI-Only theory (a position easily reversed later, when the CGI-Only psyop is fully launched). By this timely action, the agent will have leveraged the new linkage between Flat Earth and CGI-Only to achieve a "propaganda victory". Thus he will consider himself to have cleverly discharged suspicion that he is an agent of the Flat Earth psyop. nonhocapito wrote: For once, I feel quite certain as I write this: we don't live in a computer simulation. We live in our sad, old, beautiful rotten world. I can still catch glimpses of what it was before the technological stimuli started covering it before our eyes. The simulated reality of "The Matrix" was really a metaphor for the simulated, artificial perception description of the world given to us by Hollywood and the media. Yes, and that artifice - metaphorically the Matrix - continues to develop. At one time, the state of the art of simulation media was TV and movies, now it's based in the computer, as in "The Matrix" film. So re-title "The Matrix" to "The Internet", and watch it as a 2-hour advertisement hyping the internet's debut circa 1999. The real Matrix (as opposed to the cinematic metaphor) has always been a simulator of, and control mechanism over, collective social interaction (e.g. propaganda, mass marketing, social revolution). As you suggest, only metaphorically is the Matrix mainly about our individual sense perceptions. I think we get to the point of doubting our own existence in the real world only because we live so ever immersed in what the media give us. The new phase of this immersion, which causes us to doubt (and thus resign active interest in, "drop out" of) the real world, is being facilitated by a manufactured "everything is fake" counterculture - brought to you by the same counterculture manufacturers, the same conquerors, who've been manufacturing countercultures for generations. This new revolution is naturally being pushed via the new media, mostly WordPress and YouTube. "You are living in a simulation." = "You are in a dissociative state." So beware anyone pitching the former line, regardless of their do-gooder disguise. More pathological dissociation involves dissociative disorders, including dissociative fugue and depersonalization disorder with or without alterations in personal identity or sense of self. These alterations can include: a sense that self or the world is unreal (depersonalization and derealization); a loss of memory (amnesia); forgetting identity or assuming a new self (fugue); and fragmentation of identity or self into separate streams of consciousness (dissociative identity disorder, formerly termed multiple personality disorder) and complex post-traumatic stress disorder. People suffering from derealization have described feeling as if the world external to them were something in a TV show or movie, or as if they were viewing it through a TV screen. This, and other similar feelings attendant to derealization, can cause a sensation of alienation and distance between the person suffering from derealization and others around them. To move society (further) into a simulation, market it as "fun" and "cool" to self-identify as being in a simulation of some sort, any sort will do for starters. Since the idea is to subtly promote the simulation-based lifestyle while pretending to oppose it (see "The Matrix"), downplay solutions that might reorient the target audience back to reality. Thus the Matrix builders have long made countercultures of disengagement - many of which have since gone mainstream, all of which point us toward "nothing is real" where we float rootless, without a shared history, without a shared culture: each a passive, narcissistic spectator of the real-world processes that will decide our collective and individual futures. The Matrix transformation is complete! 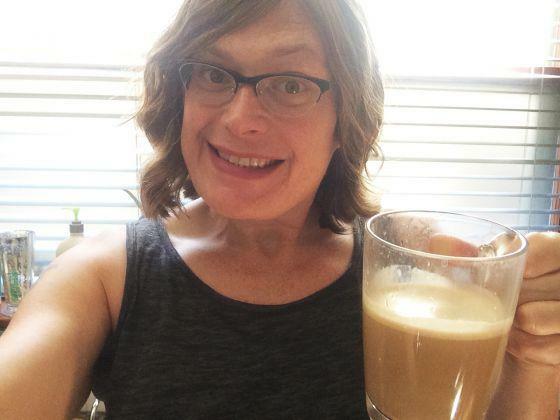 "Please consider the following guidelines when covering Lilly Wachowski's announcement that she is now living publicly as her authentic self. This style guide will help you create respectful, accurate stories while avoiding common mistakes and clichés." Loved this one: DO avoid male pronouns and Lilly's prior name, even when referring to events in her past. For example, "Prior to her transition, Lilly Wachowski created the Matrix trilogy with her sister Lana Wachowski." They seem to be using our Matrix duo to now force the meme that nothing in the past is relevant to the present, if we choose. So if I go looking for the Wachowski brothers from this point forward, I will not find them? They never existed because, as they term it, they have now found their "authentic selves". I read the book, and its not about government created fakery - the author is a 100% believer in nuclear weapons, space travel, terrorism, etc. One of his arguments was about European countries attempting to preserve their heritage, but not really believing it or living it. My take from this argument is imagine the city government passes laws that beautiful old churches are preserved, and then uses tax revenues to maintain those old church buildings exactly as they were in some specific time period. And a few city residents admire the building, and a very rare few, pay to go on a tour of the building, and have some sort of nostalgia(for something they have never actually experienced), for what the building once was and meant to the long past residents of the city. The building is there, but since the residents no longer believe in the religion, or experience the awe inspiring size & majesty of the building(versus say 50 story corporate skyscrapers down the street), or go to church services - it is not real in the way it was for those past residents. It is a physical simulation of what the church once meant to the people of the city. Whereas he views America as creating new culture & living in the present - and instead of denying the simulated nature of a growing part of society; embracing the simulation as a simulation. America is generating new cultural icons, like Star Wars characters & Mickey Mouse, and not even pretending it is from a real story from the past. Whereas many other countries only seem to come up with copies of their older icons - like a sequel to a movie which has nothing new in the story, just a rehashing of the original. A European country might have statues showing an alleged historical battle, whereas America has statues of Mickey Mouse and friends. Since Disney is still active, Mickey can engage in new adventures & new characters can be added to the Pantheon. An example of living in the present, is an American corporation builds a 50 story skyscraper, because it needs the office space for its employees, and because the scale of the building inspires awe and confidence among the people for the corporation. This authenticity is much more emotionally jarring than simulations. My own thinking on America's creativity and authenticity is extremely threatening to those who hold positions of power today. In America creativity also means creative destruction, with bankruptcies for formerly powerful organizations & the rising to hold power of new generations of creative people(at the expense of the people who formerly held that power). So the state(the armed group controlled by the rulers) seeks to crush all change, all creativity .. and in its place have a barren simulation of the time period the state came to power. This gives the illusion of a rich culture. The point of it is imo to entrench the current elites & the current institutions in their positions of power vis a vis the other people & organizations of their society. I know what you mean. My ancestors built many churches in Urmia (some of which still stand today). Sadly, my family's cemetery (the resting place of 12 generations of my ancestors) no longer exists. Gone! As if they never existed. They only exist in the family trees of their descendants (me & my distant cousins - scattered throughout the world). That's what haunts us - 'those past residents' - watching our familial history get erased & rewritten by people who never knew us to begin with. So the state(the armed group controlled by the rulers) seeks to crush all change, all creativity [that can shatter their illusions of power].. and in its place have a barren simulation of the time period the state came to power. This gives the illusion of a rich culture. The point of it is imo to entrench the current elites & the current institutions in their positions of power vis a vis the other people & organizations of their society. Right! Promote false pride to keep people powerless and dependent on the 'authority' du jour. When your ancestors had the wealth to be constructing churches in that area, they were wielding and demonstrating power in their present. Their growing power would have been supplanting whoever had that power before they arose. Alas, it sounds like they were later supplanted by yet another group. Who wisely began to erase the evidence of your family's past power.